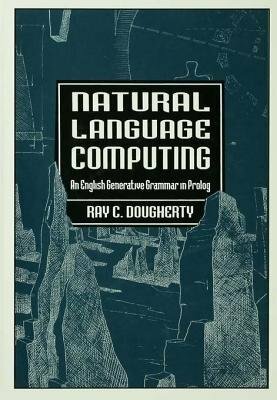 This book's main goal is to show readers how to use the linguistic theory of Noam Chomsky, called Universal Grammar, to represent English, French, and German on a computer using the Prolog computer language. In so doing, it presents a follow-the-dots approach to natural language processing, linguistic theory, artificial intelligence, and expert systems. The basic idea is to introduce meaningful answers to significant problems involved in representing human language data on a computer. The book offers a hands-on approach to anyone who wishes to gain a perspective on natural language processing -- the computational analysis of human language data. All of the examples are illustrated using computer programs. The optimal way for a person to get started is to run these existing programs to gain an understanding of how they work. After gaining familiarity, readers can begin to modify the programs, and eventually write their own. The first six chapters take a reader who has never heard of non-procedural, backtracking, declarative languages like Prolog and, using 29 full page diagrams and 75 programs, detail how to represent a lexicon of English on a computer. A bibliography is programmed into a Prolog database to show how linguists can manipulate the symbols used in formal representations, including braces and brackets. The next three chapters use 74 full page diagrams and 38 programs to show how data structures (subcategorization, selection, phrase marker) and processes (top-down, bottom-up, parsing, recursion) crucial in Chomsky's theory can be explicitly formulated into a constraint-based grammar and implemented in Prolog. The Prolog interpreters provided with the book are basically identical to the high priced Prologs, but they lack the speed and memory capacities. They are ideal since anything learned about these Prologs carries over unmodified to C-Prolog and Quintas on the mainframes. Anyone who studies the prolog implementations of the lexicons and syntactic principles of combination should be able to use Prolog to represent their own linguistic data on the most complex Prolog computer available, whether their data derive from syntactic theory, semantics, sociolinguistics, bilingualism, language acquisition, language learning, or some related area in which the grammatical patterns of words and phrases are more crucial than concepts of quantity. The printed examples illustrate C-Prolog on an Ultrix Vax, a standard university configuration. The disk included with the book contains shareware version of Prolog-2 (IBM PC) and MacProlog (Macintosh) plus versions of the programs that run on C-Prolog, Quintas, Prolog-2, and MacProlog. Appendix II contains information about how to use the Internet, Gopher, CompuServe, and the free More BBS to download the latest copies of Prolog, programs, lexicons, and parsers. All figures (100+) in the book are available scaled to make full size transparencies for class lectures. Valuable special features of this volume include: * more than 100 full page diagrams illustrating the basic concepts of natural language processing, Prolog, and Chomsky's linguistic theories; * more than 100 programs -- illustrated in at least one script file -- showing how to encode the representations and derivations of generative grammar into Prolog; * more than 100 session files guiding readers through their own hands-on sessions with the programs illustrating Chomsky's theory; * a 3.5" disk (IBM Format) containing: 1. all programs in versions to run in C-Prolog or Quintas Prolog on an Ultrix Vax, and on an IBM PC and a Macintosh, 2. a shareware version of Prolog-2 for IBM PC clones which runs all programs in the book, 3. a shareware version of MacProlog for Macintosh which runs all programs in the book; * instructions on using Internet, CompuServe, and the free More BBS to download the latest copies of Prolog, programs, lexicons, and parsers; and * numerous references enabling interested students to pursue questions at greater depth by consulting the items in the extensive bibliography.